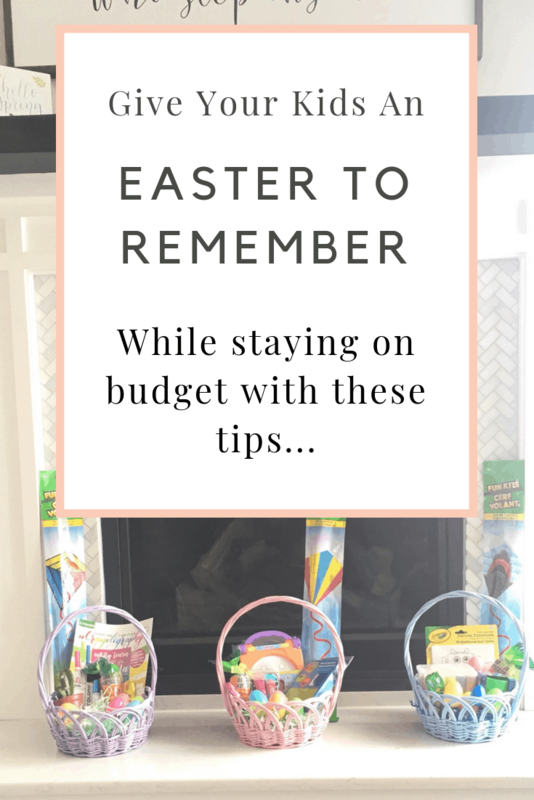 A common misconception is that the only way for kids to have a childhood full of memorable holidays and fun traditions is to spend a lot of money…..I’m here to tell you that is just.not.true. This is one of the many reasons why I LOVE The Dollar Tree. I love watching their season aisle. It’s fun to see what they bring in every year. 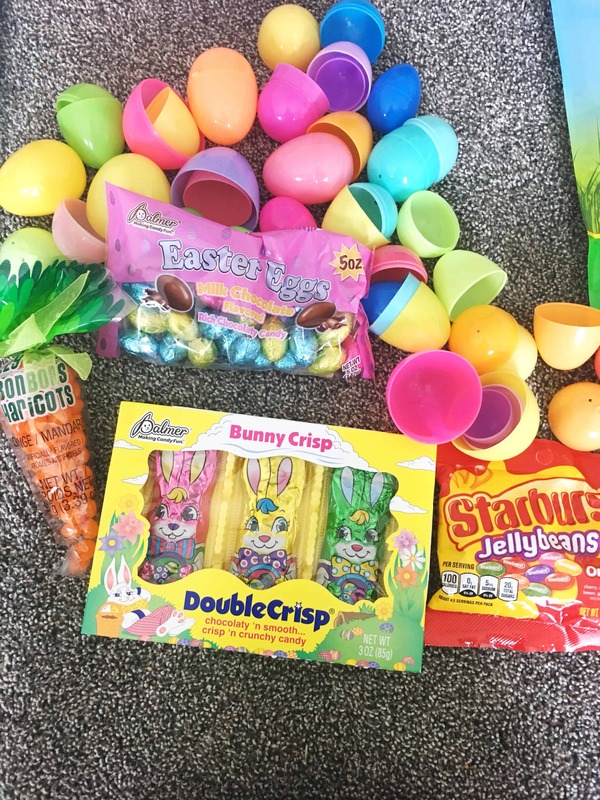 Every year I buy my kids Easter Basket Stuffers from The Dollar Tree spring section. 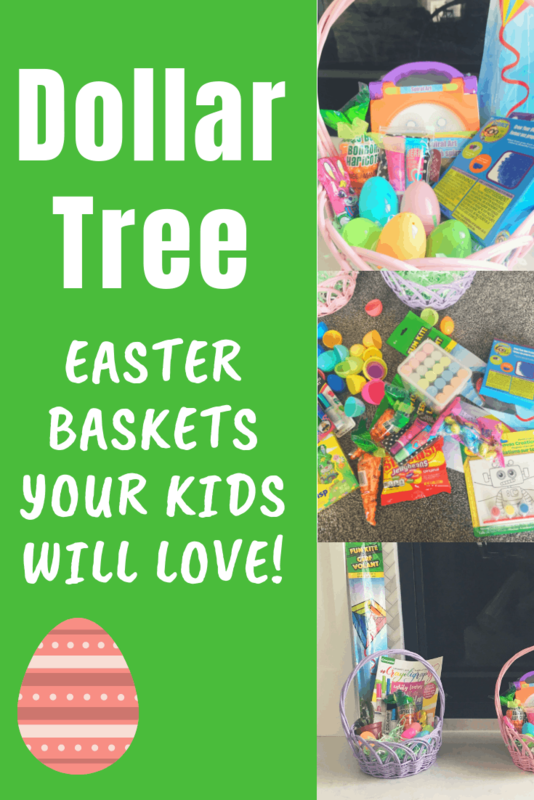 This year I spent a total of $6 per basket, making the grand total for 3 Easter Baskets only $18! AND! I know my kids will love them (yay!). 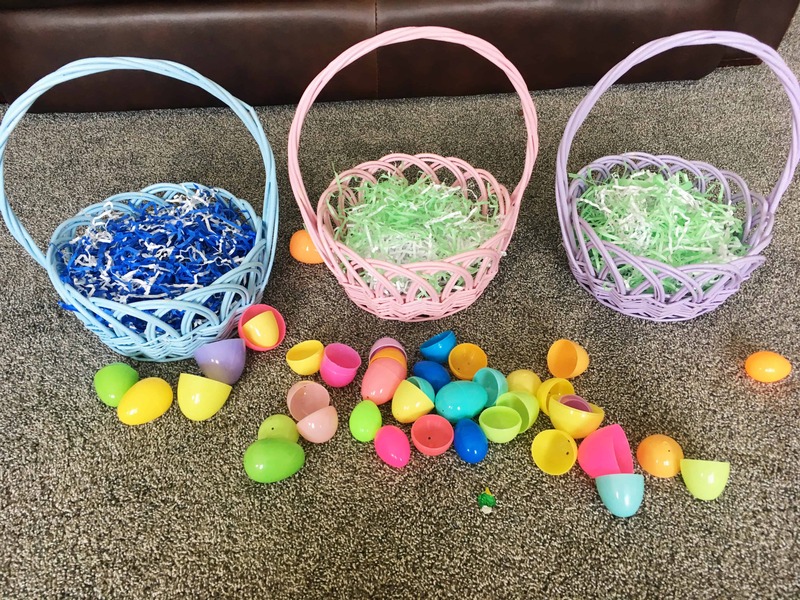 Fortunately I didn’t need to buy baskets, grass filler or plastic eggs because I save each of these things to use year after year. These current baskets have last me over 5 years and I’m sure they will last another 5! This saves me a few bucks every year, but those few dollars add up to big savings! 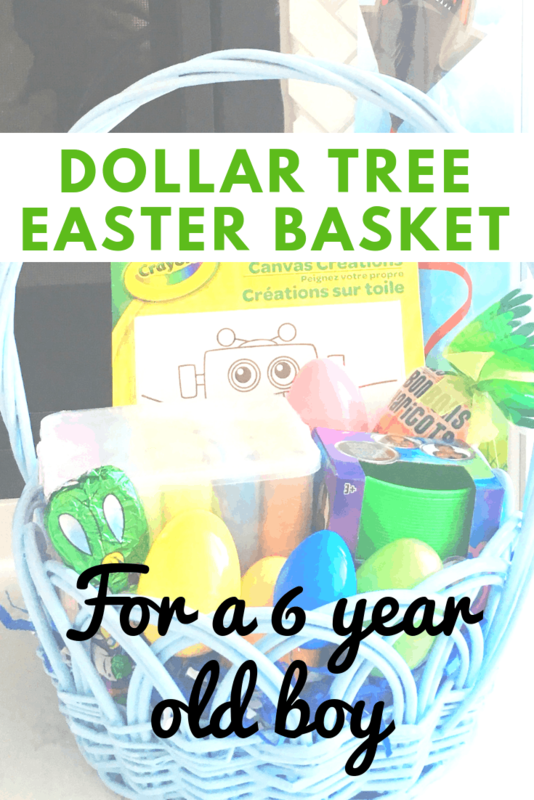 However, if you are needing new baskets or plastic eggs The Dollar Tree has you covered! 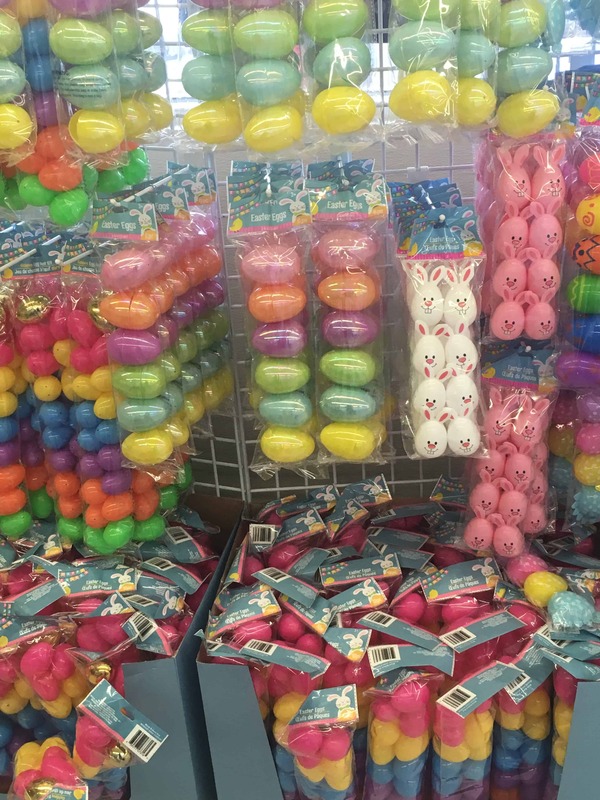 Their Easter aisle is packed full of eggs and grass in every imaginable color and Easter Baskets for every personality. 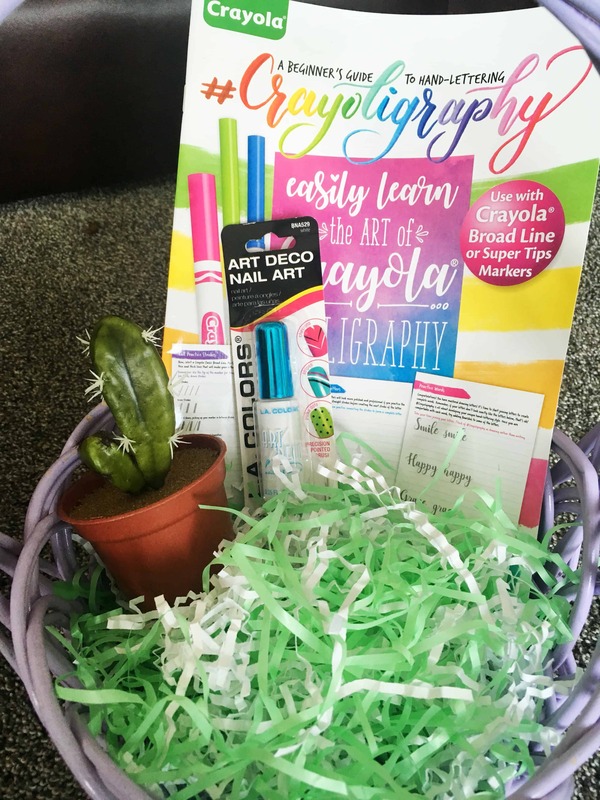 My 13 year old daughter loves all things artsy, tendy and girly; and I found the PERFECT items for her basket that fit these categories. I was so excited when I found these darling faux potted cactus’s at The Dollar Tree. My daughter has a slight obsession with cactus’s at the moment (and tells me so do all of her friends….) so I knew this would be PERFECT in her basket. I also found this fun Caligraphy book to help teach her pretty lettering, white nail polish, and a colorful kite. Next up was my 10 year old daughters basket. She is pure girl and loves using her hands in the kitchen or at the table crafting. 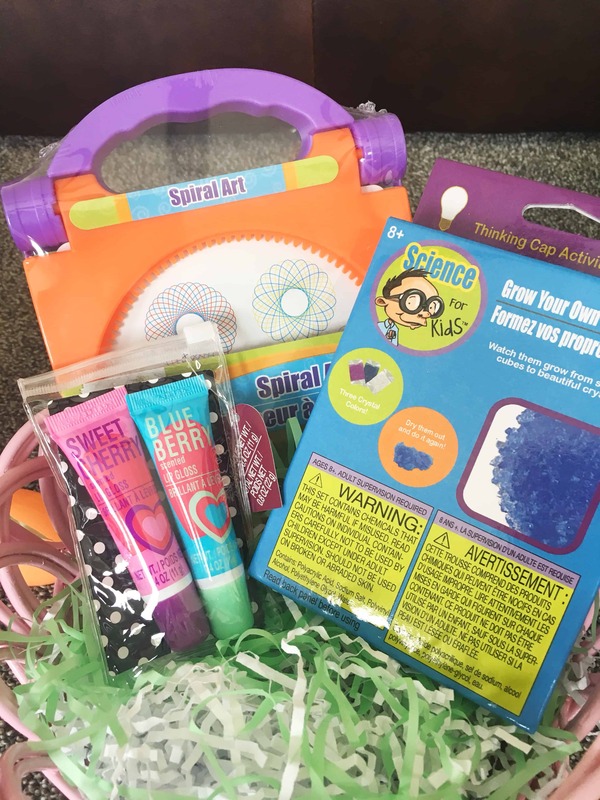 I found a nice selection of hands on science kits at The Dollar Tree and ended up buying this Crystal Growing Kit. We have tried to grow our own crystals at home and have failed every time! I’m hoping to have much more success with this kit! She’s also getting a kite, some chapstick (don’t you love those spring colors!) and a Spiral Art set. Did you love Spiral Art as much as I did as a kid???? So fun! Last, but certainly not least is my 6 year old sons Easter Basket. He is all boy through and through and just wants to be busy and active all of the time. I found a box of sidewalk chalk at The Dollar Tree and decided this would be the perfect way to get him outside during spring. 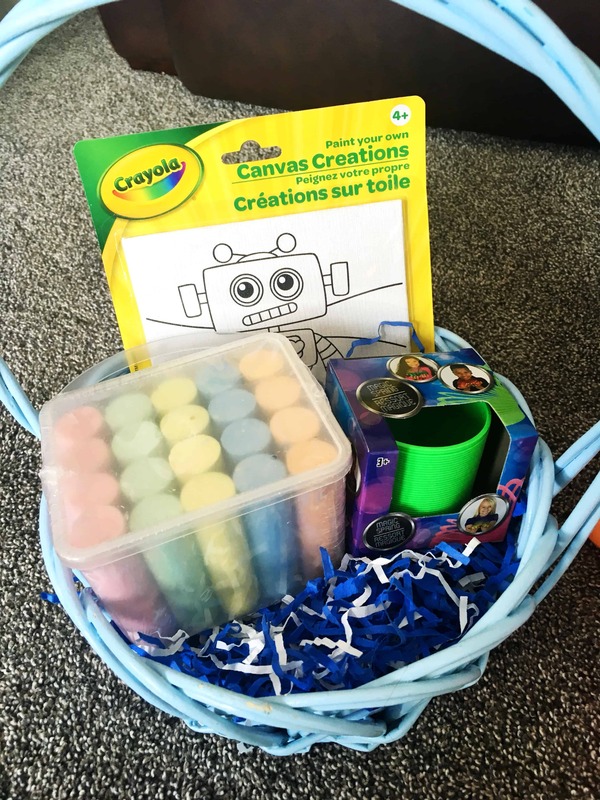 His basket is also filled with a kite, a cute robot on canvas to color and a slinky. He has ALWAYS wanted his very own slinky (little bother problems, amiright???) and I can’t wait for him to see this one. What’s Easter without some candy???? 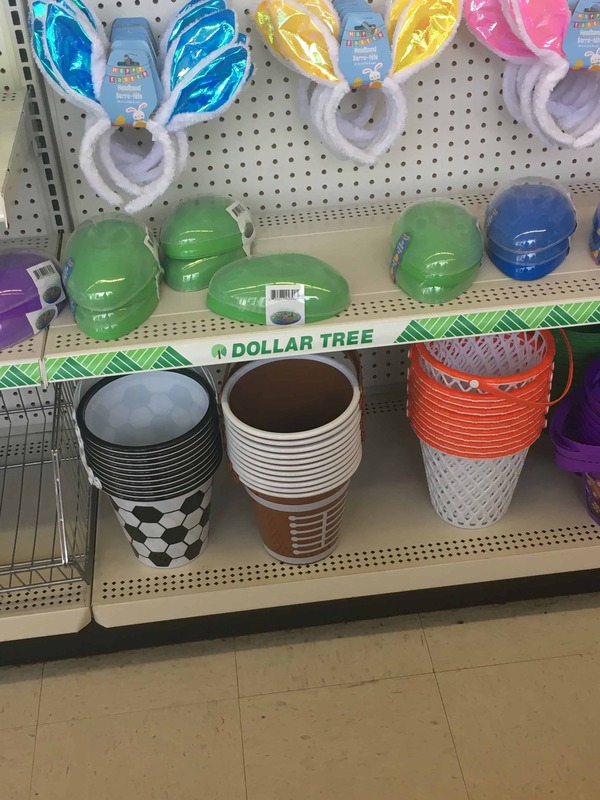 The Dollar Tree has you covered! I’m serious. 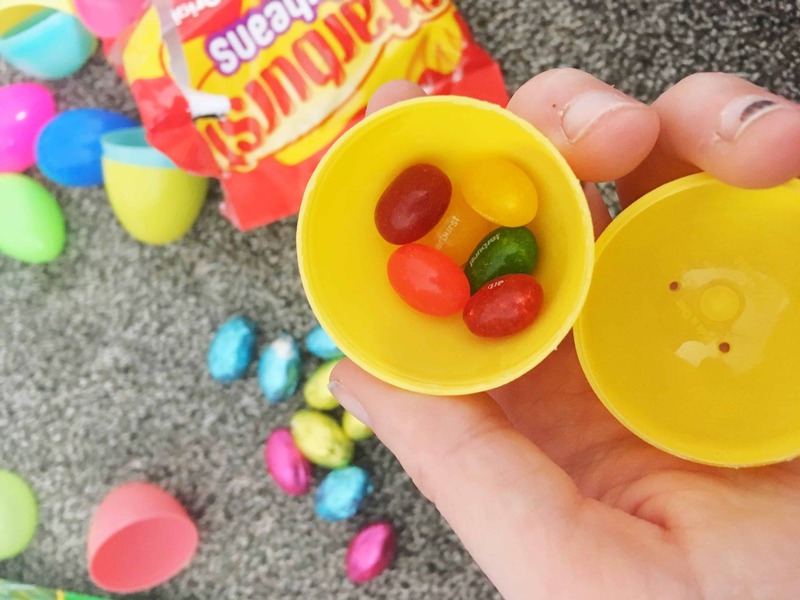 I have a slight (ok, serious) addiction to Sweet Tarts Jelly Beans….have you ever tried them??? So good! I was very proud of myself that I left the bag at the store, otherwise, the entire bag would have been gone before I even left the parking lot (only kinda kidding…). I DID buy a few pieces of candy for the kids though. Starburst Jelly Beans (also so good!) and chocolate bunnies to name a few. 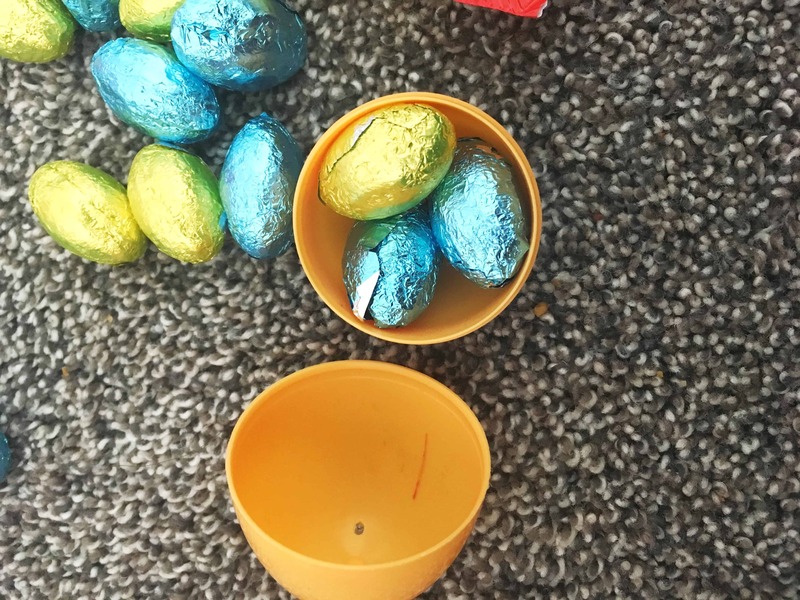 Do you love filling easter eggs with candy? I totally do! There is something so fulfilling about it! 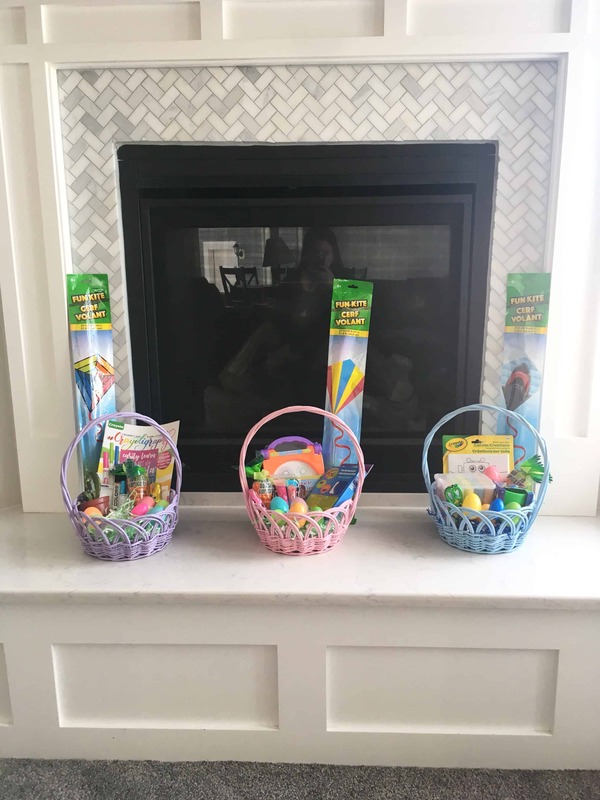 My kids will wake up on Easter Sunday, anxiously walk into our living room area, run to their Easter Baskets and proclaim with excitement about what it’s inside. They will laugh, they will smile, and they will remember their childhood with all the warm fuzzy memories we want them to have…..and all it cost was $6. Thank you Dollar Tree. Those are some cute baskets! When I was growing up, we just had a communal basket for 4 kids to share with candy and Easter eggs. It was cool to see what you put in these baskets. 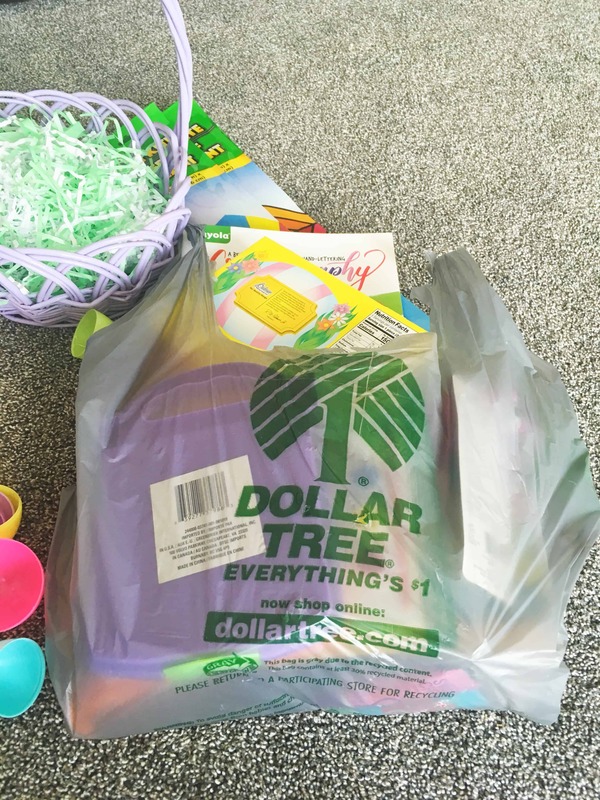 I absolutely love dollar tree… especially the seasonal sections. 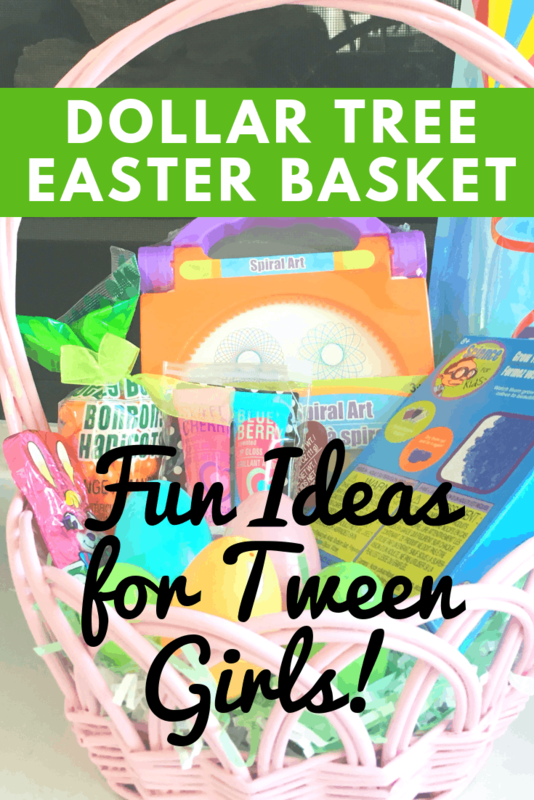 I’m always looking for alternatives to candy for Easter baskets and it looks like dollar tree has it covered! And for $6 a basket! Right?!?! You can’t beat that! I do love the dollar tree but I think your dollar tree must be so much better in the usa than here in canada!! Great ideas! Thanks!!! 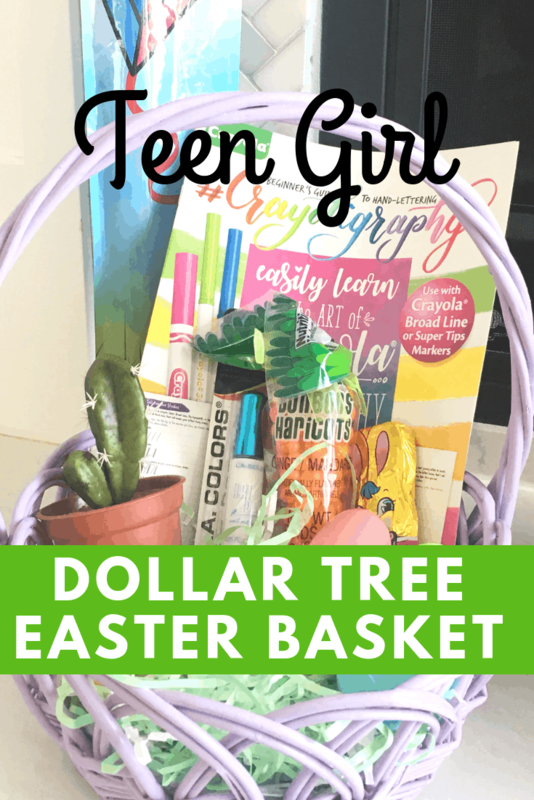 We do have a really good Dollar Tree! I do love dollar tree! The usa store looks far better than the canadian store! Great ideas!